How the iconic train nearly became the Hogwarts Express. The Back to the Future franchise still maintains a presence at Universal Orlando, despite the closure of its famous ride. 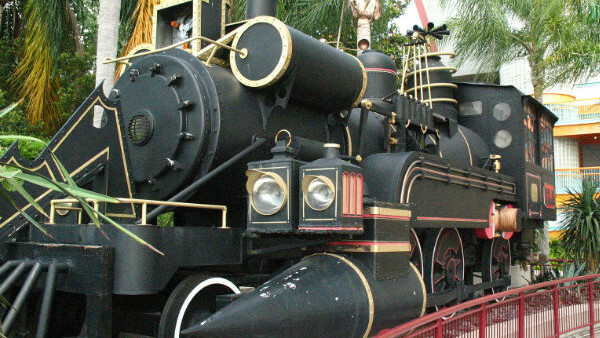 Guests can still catch Doc Brown wandering around the park from time to time and visitors can spot the DeLorean and the actual time traveling steam train from the third movie. Although it now seems that Universal Studios may have had other ideas for one of these famous props. In an interview with The Nerdy Birdy, "12 Monkey's" showrunner Terry Matalas spoke of how J K Rowling stepped in to prevent the train from being converted into the Hogwarts Express. "she was like ‘No, absolutely do not do that, please do not. This is iconic. Keep it totally as it is.’ So J.K. Rowling actually saved the Back to the Future III time train"
There is no official confirmation that J K Rowling actually was responsible for saving the train but if it is true, we are sure that Back to the Future fans will appreciate her stepping in to make sure a piece of movie history remains on display for all to see and enjoy.